If you plan on going on holiday to the continent, it’s very easy to assume that Spain and all of its islands speak the same language: Spanish. And if you learnt Spanish at school, or perhaps later on as an adult, you may well feel confident of conversing with the locals in their native language. Unfortunately if you visit Minorca you may be in for a shock. Although mainstream Spanish is spoken by many locals, it is very much a second language and bears little resemblance to the main dialect: Minorcan Catalan. We take a look at this very unique form of the Catalan language and how it differs from the mainstream Spanish language you may be more familiar with. Before looking specifically at the language spoken on Minorca, it’s first essential to understand the language it derives from and it’s not the one you would expect. 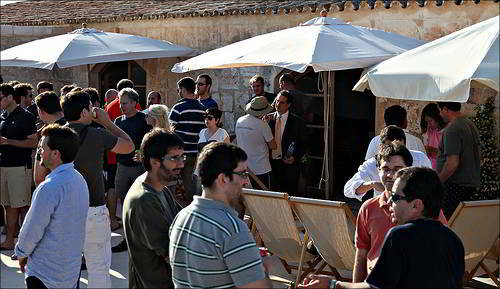 Rather than being a dialect which has formed from mainstream Spanish, Minorca’s language has its roots in Catalan. Catalan is classed as a Romance Language, one of a group which has descended directly from Vulgar Latin and shares many common features with the dialects spoken in northern Italy. It has also been compared to Occitan, the language spoken in the south of France. In fact, French has a strong influence on the Catalan language of today. Catalan is very different from Spanish and is not simply a dialect or offshoot; Catalan is a separate language in its own right. Although Spanish speakers may be able to pick up some words here and there, there are not enough similarities for an individual to be fluent in both languages without learning them deliberately as individual entities. Having established that Catalan is a language in its own right, you may well assume that this is a standard form of communication. Unfortunately, it’s not that easy. Catalan is a very complex language and in many places in which it is spoken; a localised version has developed over time. In the islands, there are many different forms and these are known collectively as the Balearic Catalans which are largely named after their specific island. On Minorca, this means that the local language is known as Minorqui. 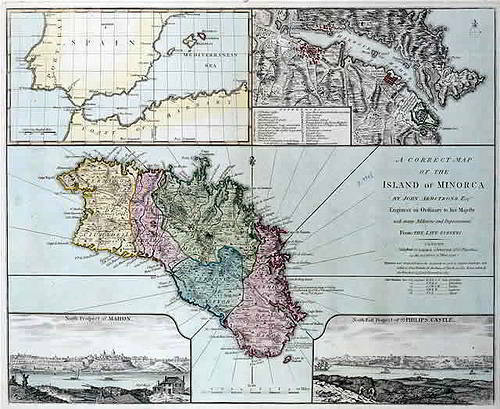 Some proponents of the Balearic forms of Catalan have argued that the differences are so marked they should not be considered a dialect but a whole language in their own right. One of the particularly unique features about Minorqui is that it still holds traces of the rule by the British and includes words which are very closely borrowed from the English language. These are known collectively as loanwords. Examples include ‘grevi’ (gravy) and ‘boinder” (bow window – typically featured in traditional Georgian houses in British architecture). Other loanwords can also be traced in both Minorqui and other forms of Catalan, most notably Germanic and Spanish, of which there are approximately 2000. Despite these Spanish loanwords which can be found in Minorqui, the differences between the two languages is very significant. Minorqui can in fact be described as being far closer to Occitan – the language of southern France – than to Spanish. Some perfect examples to illustrate this include the words for ‘tomorrow’ and the verb ‘want’. In Minorqui, tomorrow is demá; in Spanish the same word is ‘maňana’ but the French and Italian use ‘demain’ and ‘domani’. To want something in Minorqui is ‘voler’, in Spanish it’s ‘querer’ but in French and Italian say ‘vouloir’ and ‘volere’. This is a great way to show the proximity of Minorqui to French and Italian languages compared to Spanish. Unlike Spanish, Minorqui and other forms of Catalan drop the final vowel in the masculine form. This has the effect of many words ending in a consonant, rather than the usual ‘e’ or ‘o’ which is found in Spanish. Linguistical experts have suggested that the differences in the two languages may have originated from their geographical location. Although both Catalan (including Minorqui) and Spanish have their roots in Latin, the latter appears to be descended from a more ancient form. Catalan, and in turn, Minorqui uses more contemporary Latin – if there is such a thing! – and the theory has been put forward this is because Catalonia was closer to Rome. This proximity allowed the region to keep up with evolutions in the language, unlike Spain who were conquered much earlier. Minorqui can appear more comprehensible to Spanish speakers when written down because although certain phrases may be spelt differently, there is a passing resemblance. However, when spoken, these diversions are much more apparent and can make it far harder for Spanish speakers to pick up any words or familiar phrases, even when pronounced slowly. Minorqui has a very strong identity and if you visit the island of Minorca aren’t able to converse in the native tongue, you may be better off speaking English than attempting Spanish. Minorqui, along with other forms of the Catalan language, has suffered a great deal of oppression over the years – including being banned under General Franco – and as a result there can be hostility to the main Spanish language in some pockets. Much more than a dialect, and not simply a fusion of Italian, Spanish and French, Minorqui has its own roots in history and stands proudly as a language which has developed as a unique and individual entity.